The summer has started, and you’ve made the discovery that your old air conditioner is not getting the job done. Time for it to retire to the scrap heap. What should you have installed in its place? We’re not arguing that you don’t need a new air conditioner for your house. But there’s an option for air conditioning that comes with heating as well. It’s not the standard combination of an air conditioner and a furnace, which is what you probably already have. 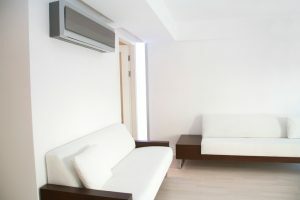 It’s a single unit called a heat pump, and it’s an air conditioner that can switch how it works so instead of moving heat out of your home, it moves heat into the home.